So, you're walking down aisle #4 in the grocery store... and there they are... the pre-made, pre-packaged, pre-pared Rice Kristpee Squares. And you think to yourself, "I bet my kids would love these". Well, I got news for you. I know something they'll love even more... homemade Rice Krisppe Squares. Actually, they won't just love eating them... they'll love making them. With a little adult supervision and assistance, this is a simple snack kids will enjoy making themselves. My kids have been making them for years. Lucky for you, the recipe is written on the inside of every Rice Krispee box. But to make it easy, I'll record it for you right here. 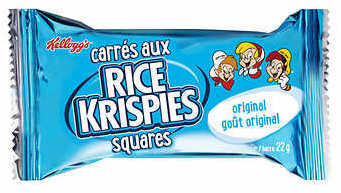 You'll soon discover just how easy it is to make Rice Krispee Squares. 1. First, melt the butter in a large pot over low heat on the stovetop. 2. Then, add the marshmallows and stir. Keep stirring until the marshmallows are all melted. 3. Turn off the stove, and add the vanilla. Stir again. 4. Finally, add the Rice Krispees. And stir one last time, until the cereal is coated with marshmallow. 5. Pour the mixture into a pan. Press it down. Let it cool. 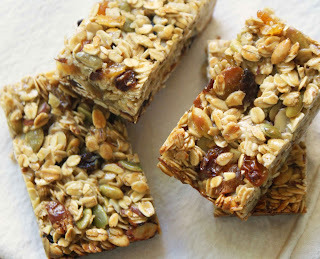 Once it's cool, cut the snack into squares and pack them away into a reusable container. Ooey, gooey, delicious! And super easy to make. And best of all, practically waste-free. There's no wasteful packaging.